Shakespeare I am using in all my classes -- Hamlet and Twelfth Night as samples of "classical" (premodern) drama. I teach 200X core honors class: Aesthetic Appreciation: Art, Music, Theatre (Through Film) and if you see that you still do not know the terms I am using in class, check the pages with the basics on "Theories of Beauty" (I call "Aesthetics" and "Appreciation" -- LOVE FOR BEAUTY). New directory: Plays ** I suspect that I will be using this directory for my plays only. And maybe in Russian only. Directories -- frames on your left. Summer 2002: Russian Play I write uses all my webpages for the hypertext (Anatoly is myself after my return from Russia, the one, who writes in English). I'm not sure how to connect the drama texts with the rest, but one thing for sure -- this new character Anatoly takes over the story! There is a gateway page MyPlays with a short overview of samples of my scripts in English. Sort of an inventory list. I thought about making "writer's resume" for the online portfolio, but this web project is forgotten. Maybe later (never), but there is a section on writing in my CV. The rest I will put on FAQ page. 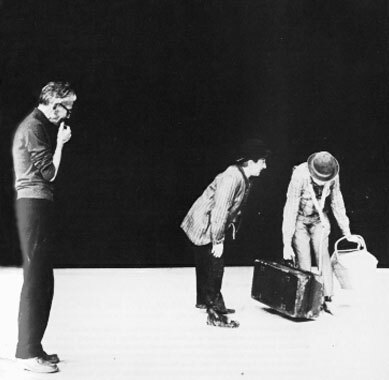 No, writing textbooks from the theatre's POV; actor, director, designer, even simply spectator! Finally! Two years in webbing and only now I make this Playwrighting Page! Why did it take so long? Too close to home? I do not teach playwriting, only PLAYWRIGHTING. Do you see the difference? 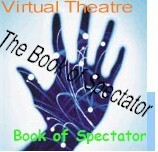 I do plan to enroll writers into my Special Topics Virtual Theatre workshop-seminar (Spring 2001), but the teaching itself interested me less and less. Writer's Page @ Film-North, I keep web-versions of ebooks there, in several subdirectories (Self, POV, Father-Russia and etc.). I use the classics (like Oscar Wilde) for my acting and directing classes (copyright free) and you can see the texts on my instructional pages. Now, about my own plays. I was so busy with my nonfiction and etextbooks that I had no time for plays. Untill this very 2002 Spring, when I thought about going again to Moscow and began writing in Russian. Oh, what a pleasure! PS. I do not know this NEW system for organizing texts-in-progress. Have to think about it. WRITE directories: Click to View or Add Links.